Sophia's Choice offers a personally chosen, hand picked range of natural and organic skincare, bodycare and high quality nutritional supplements for the whole family. Our mission is to empower you to make wiser, healthier, more conscious choices for both yourself and your family, which in turn will help you to stay healthy from the inside out. Sophia’s Choice, named after our eldest daughter, started life as a 'Green Family Lifestyle' blog in October 2012. Here I started sharing the natural and organic choices we had initially made for her as a family when she was very small. It has a loyal readership who have followed my journey from the beginning. In November 2013, we launched our Online Health & Beauty Boutique to run alongside it and two and a half years later in March 2016, we completed the picture by opening our very own natural health & beauty boutique with treatment room in our local town of Beaminster, West Dorset. I’m exceptionally proud to bring you a wide selection of organic and natural brands which I trust and believe in. As a family we have "tried and tested" many of the products within each range. This is very important to me. I want to personally understand the products and brands I’m selling, which in turn allows me to help you choose which products may best suit your individual needs, if you require that advice. Sophia's Choice will evolve over time adding new brands & products, expanding our current range. I always love to hear your views, so feel free to get in touch or make suggestions. I want Sophia’s Choice to be a place where you wish to shop, offering you great customer service and an uncomplicated, friendly shopping experience. I always aim to answer any questions you may have as quickly as possible, so don’t hesitate to ask. To stay up to date with our boutique news, competitions and special offers, I encourage you to sign up to our newsletter, where you'll receive a special discount code offering you 10% off your first online order with us. Twitter: @SophiasChoiceUK Pinterest: @sophiaschoiceuk Instagram: @SophiasChoiceUK and Facebook: www.facebook.com/SophiasChoiceUK. 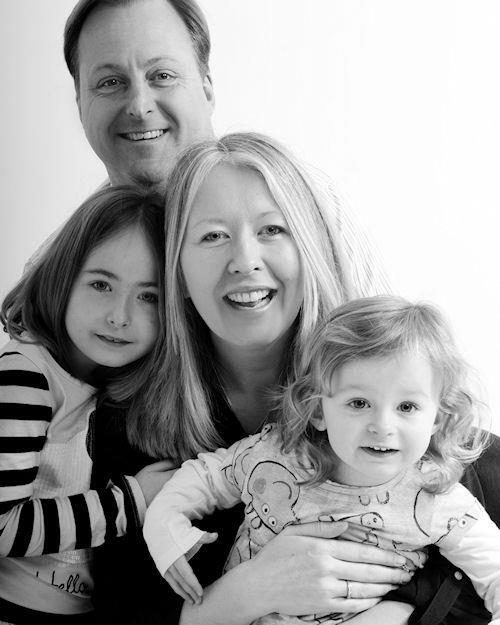 I am a devoted Mum to 2 spirited girls and I'm also a multi-disciplined Holistic Therapist. I ran my own practice for 8 years offering Reflexology, Reiki, and several forms of Massage Therapy before having my two children. I am currently studying naturopathic nutrition with the Nutritional Healing Foundation which will take my passion for this subject further. My love of all things natural has steadily grown over time and after having my first daughter in Brittany, France my want to only use natural skincare products on her which were free from harsh synthetic ingredients such as parabens, sulphates and mineral oils led me to look for alternatives. My access to these products locally was limited so I scoured the internet and found Green People. This is where my journey with natural skincare began. My knowledge has grown since those early days and I now enjoy imparting what has worked for us as a family via my Green Lifestyle Blog. If you’d like to stay up to date with Sophia's Choice Green Lifestyle blog then you can pop across to www.sophiaschoiceuk.co.uk for a read.